Before the advent of weather radar, people would only have the current weather to help determine what was on the horizon. If it was nice and sunny, you could expect that you would continue to have nice and sunny days. But if you see a 1963 Honda CB77 in the showroom, you have to expect a storm coming. 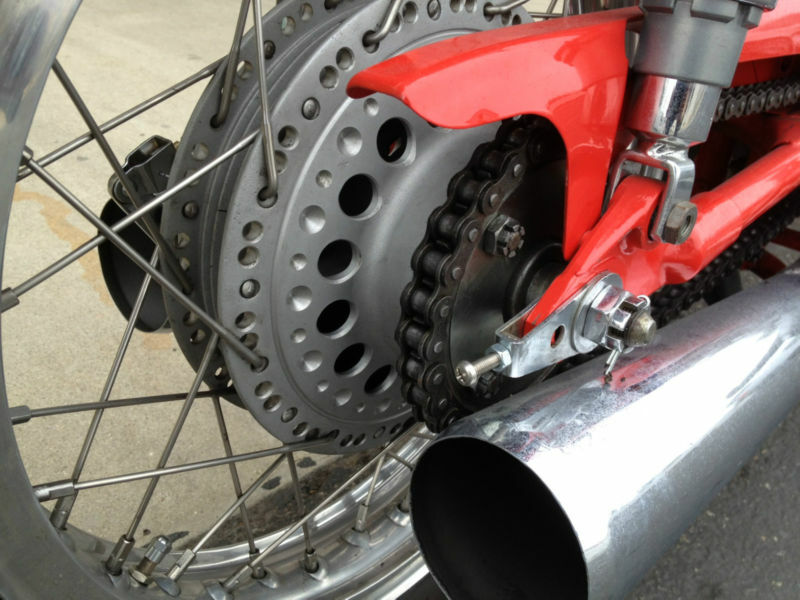 The seller of this Honda CB77 restored the bike using some of the racing parts with the CYB77 prefix found in the parts catalogue. 1964 model year. 11450 miles. Restored in the 1990s. Many Honda factory YB parts listed below. This bike starts and runs excellently. 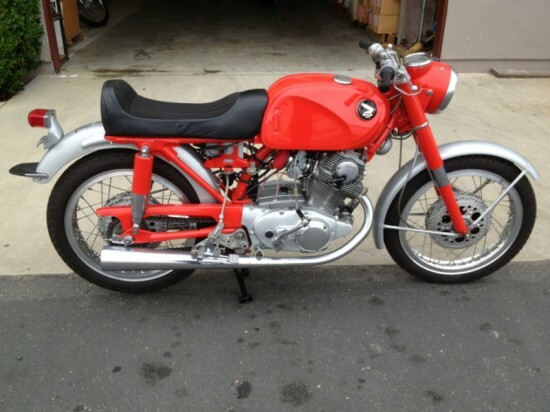 This bike was restored as an AHRMA racer. I have not, however, been raced. It sits in a museum with a lot of other production and race Hondas of the 1950s and 60s. 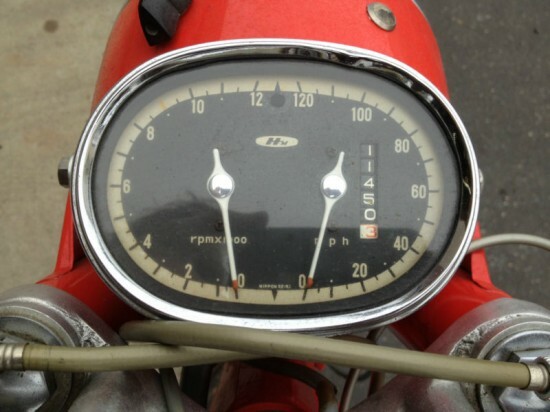 Between 1963 and 1967 the CB77 was a 305cc twin cylinder OHC motorcycle offered from Honda. 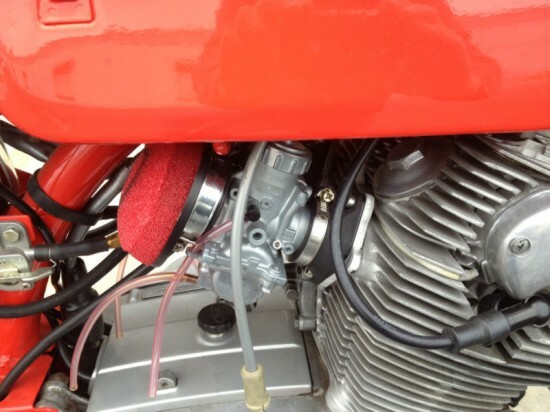 It was the bigger brother to the 250cc CB72, but just because of 305cc, do not call it small. From the factory it would produce 28hp at 7200rpm and had a redline way out to 9250rpm. This was good to 90+mph stock, from the factory, with all the restrictive parts still on the bike. So what is to be expected from the CYB77 parts? YB racing megaphones. The bike sounds wonderful but is of course loud. rear shocks. 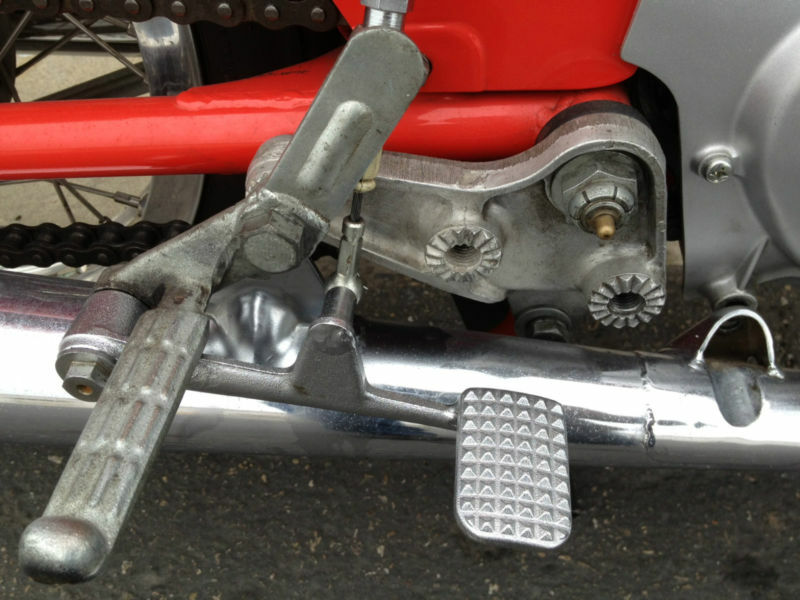 These are not Honda factory shocks. These are Hagon racing shocks. Mikuni (sudco carbs) These carbs works outstandingly well. They work far better than the original carbs. I do have the original carbs and they will go with the bike in any case. drilling on the front and rear hubs. The craftsmanship is excellent. Most people love this. Some people think it is a bit much. This drilling is of course not factory. I do have a factory set of hubs and backing plates that are very nice, original and undrilled that will go with the bike. So you get the bike both ways. Previous story We build airplanes, and motorcycles for Harley Davidson.